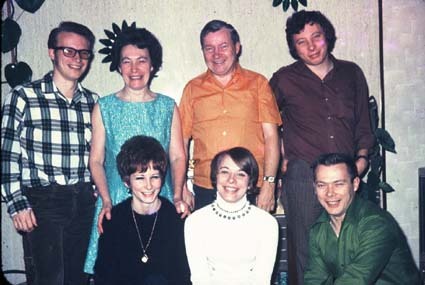 Here are the British Columbia Parretts, gathered in Vancouver, about 1970, for mother's 80thy birthday with hosts Stan and Peggy Parrett. Peggy is standing, left, with daughter Pat. 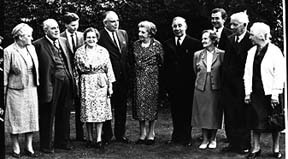 Barb and father, Roy, Stan and his sons George and Bob. Seated are Maude, Roy's wife, Granny Mabel Parrett, and her daughter- also Mabel Parrett.